Summer 2014 is packed to bursting with A-list anime titles, from popular sequels to intriguing new series. In order to make your life easier, here are a few of the big names to keep an eye on. It’s back, baby! Space Dandy burst onto the scene earlier this year and immediately started more forum arguments than one person could feasibly count. Was this continuity-smashing series an absurd, cartoonish disaster or a brilliant exercise in creative storytelling? 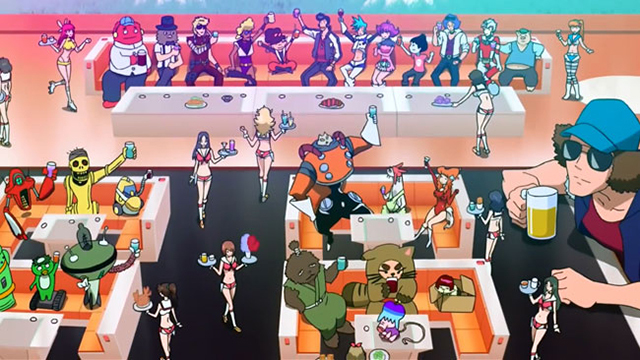 After some genuinely brilliant episodes, it became increasingly obvious that Space Dandy was the latter of the two. As with the first season, the English dub airs on Cartoon Network, while the subtitled version can be found on Funimation’s streaming service. Whichever language you prefer, strap in and hold on for some manic, beautifully animated fun with a wealth of clever ideas hiding just beneath the surface. Wait! Stop! Hear me out! 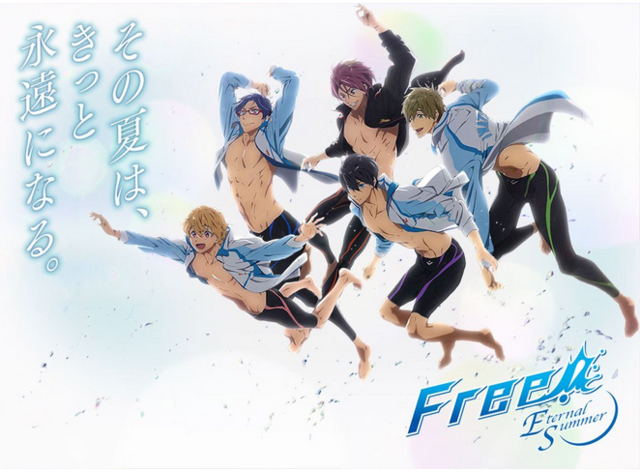 Yes, the latest installment of the infamous swimming anime is primarily concerned with showing off the ripped physiques of its handsome male characters. Yes, I’m the polar opposite of its target demographic and have no business enjoying it. But here’s the thing: even if you aren’t interested in the good-looking dudes, Free! is an absurd amount of fun to watch. The humor hits all the right notes, the animation is superb, and the competition sequences are intense and thrilling. There’s some heavy dramatic lifting to be done further down this list, so Free! is exactly the kind of uncomplicated entertainment you’ll need to balance out your simulcast queue. You can watch it through both Crunchyroll and Funimation. With the fun and games out of the way, it’s time to move on to the shows everyone will be talking about. First up is Sailor Moon Crystal, the long-awaited remake of the mother of all magical girl shows. Whether you grew up watching the original on TV or just need a little therapy after the great but heartbreaking Madoka Magica, you’ll want to give Crystal a shot. It’s bound to ruffle a few feathers amongst long-time fans at one point or another, but it’ll make for a fascinating discussion that you’ll want to be a part of. 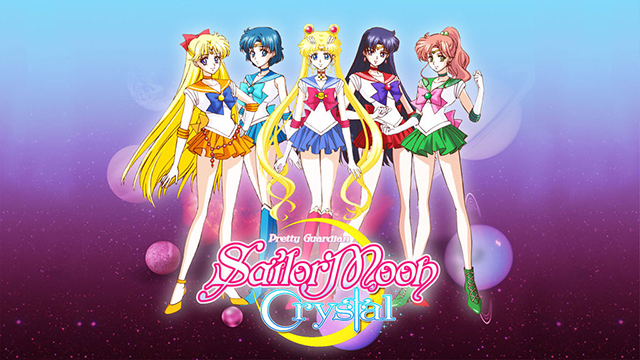 You can watch Sailor Moon Crystal all over the Internet, including Crunchyroll and Hulu. I wasn’t a huge fan of the original SAO, partly because I never played enough MMORPGs to fantasize about saving the (virtual) world with my awesome sword/magic skills. 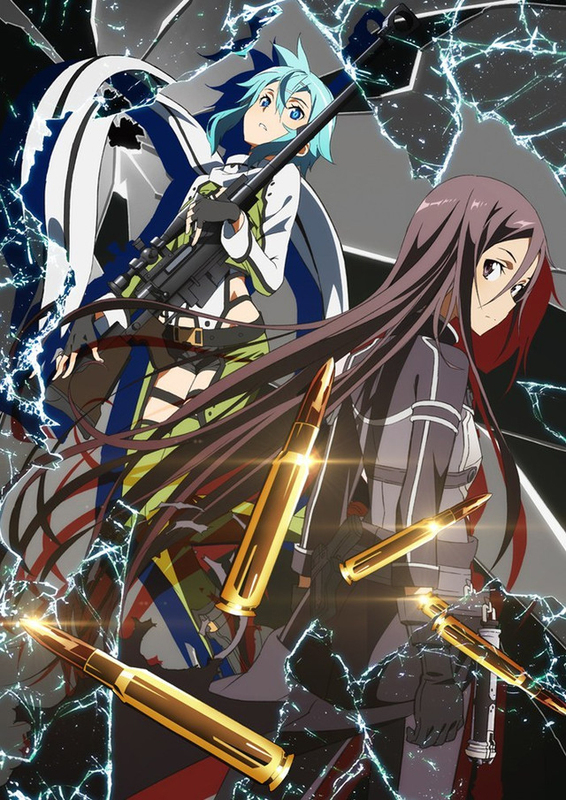 The new season drops our heroes into a new game called Gun Gale Online, which sees Kirito and company swapping out blades for bullets. Maybe my inner Halo fanatic will get caught up in the franchise’s tidal wave of fandom this time around. I really just want a Borderlands anime series, but I’ll take what I can get in the meantime. You can join in on the phenomenon on Crunchyroll or Daisuki. You know what Attack on Titan needed? Giant robots getting into space fights with creepy alien monsters. 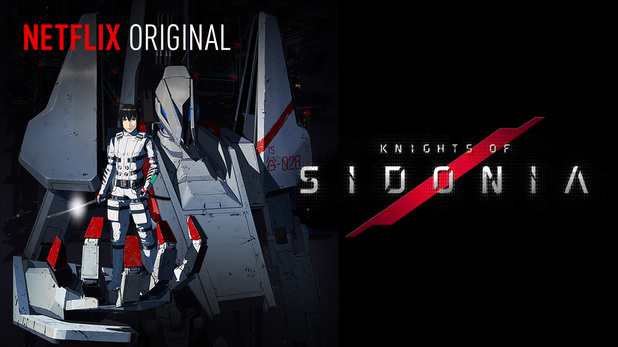 Knights of Sidonia shares the same “desperate fight to protect the last bastion of humanity” theme as Titan, but swaps out the walled city for a big spaceship and gives its short-lived heroes flashy flying mechs. I could toss up Battlestar Galactica references all day long, but it wouldn’t take away from the fact that Sidonia is a damn solid series. It asks some intriguing sci-fi questions and offers some impressive visuals. Sure, it lacks some of Attack on Titan’s raw emotion, but Sidonia makes up for it with deeper insights. The best part? You can binge-watch the whole thing with English or Japanese audio on Netflix. 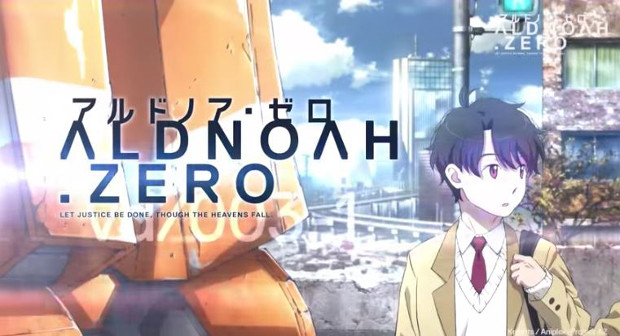 While Knights of Sidonia comes with a popular manga series to recommend it, Aldnoah.Zero relies on a name-drop to bring in curious viewers: Gen Urobuchi. The guy who ripped your heart out of your chest in Madoka Magica and Fate Zero, then made your brain explode in Psycho-Pass is trying his hand at full-scale apocalyptic space opera. The first episode suggests that no holds are barred and no punches will be pulled, so get ready for a serious piece of science fiction. As long as it doesn’t collapse under its own dramatic weight, Aldnoah.Zero could be one heck of a ride. Give it a shot on Crunchyroll or Daisuki. I’m throwing a bit of a curveball with this homegrown indie darling. 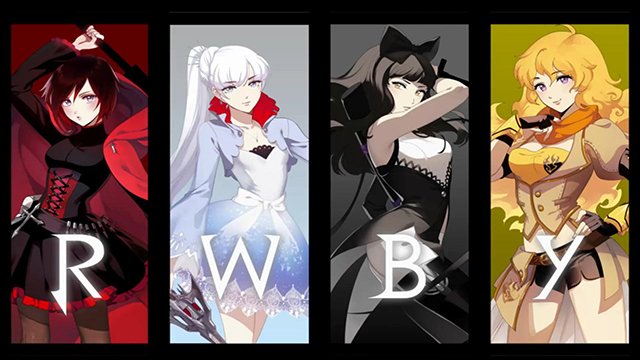 From the company that brought us Red vs Blue, RWBY offers an American perspective on teenagers fighting evil with a mix of magic and high-caliber weapons. The first season of short episodes focused on establishing a likable cast of heroines and building up a world for them to save. Early previews suggest that the new season will go full steam ahead with evil organizations and epic showdowns. I’m looking forward to seeing how the creators can carry out these grander storytelling ambitions, and I have every confidence that they’ll succeed. Head over to the Rooster Teeth website and get pumped for the new season at the end of the month. Will all of these summer shows hold up over the course of the season? Will I regret not putting Terror in Resonance on this list? Only time will tell. Kawaii Overthink is written by Paul Jensen. You can follow his ramblings about anime and manga on Twitter. Check back every Wednesday for new articles. I agree; they should. And while they’re at it, Sega should hire more talented fans that can design a Sonic game better than the actual Sonic Team can. You see, after getting hopeful about the next installment to the Sonic franchise, Sonic Boom, I was yet again faced with crushing disappointment by the game’s newest trailer revealed at E3. The beat-‘em-up gameplay I disliked from Sonic Unleashed is making a return, there’s yet another new character being added to the Sonic universe (as if Big the Cat, Charmy Bee, Vector the Crocodile, Rouge the Bat, Chip the Annoying from Unleashed and countless others weren’t enough), and some of the worst writing I’ve seen since Sonic Heroes (is “Rings OM NOM NOM NOM” really something Sonic would say, Sega?). But what have I been watching and enjoying a lot lately, surprisingly? Fan-made cartoons, short films, and custom levels. I’ve been listening to fan-made remixes of Sonic music, and I’ve even found a decent drawing or two of the Blue Blur. It seems like every time there is a new game around the corner, I worry the Sonic franchise will continue to face a dire future. Yet the fanbase remains strong, and continues to make Sonic fun and interesting through their passion and creativity. If the level itself isn’t impressive enough, listen closely to that music. It’s a great rock remix of the original “Sky Troops” theme done by Zach Hinchy. He also composed “Classic” and “Modern” –style remixes of the themes of the other levels Melpontro plans to add to the mod. Listening to his work, it’s almost as if Jun Senoue or Cash Cash had a hand in creating those remixes. Even the most seasoned Sonic fan knows that the fanbase is quite divided on what makes the Sonic the Hedgehog franchise great. Is Sonic all about platforming, or speed? Masses of uniquely designed new characters, or just a few classic characters with carefully developed personalities? Classic sidescrolling akin to the original games on Sega Genesis, or 3-D adventures like the Sonic Adventure games? Just look at my earlier thoughts on Sonic Boom and compare them to my thoughts on the E3 trailer written above and you can see where I stand. Yet in this scuffle, we forget that the Sonic fanbase is quite massive. If you like sidescrollers, there’s a fan game for that. Enjoy seeing new characters added to the Sonic universe? Check out all the fan characters on DeviantArt. 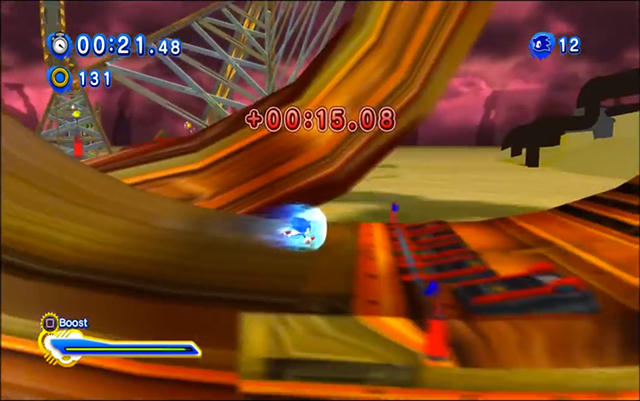 There are even 3-D fan games that focus on Sonic’s speed, as well as games that emphasize platforming. We can make Sonic the Hedgehog look better than Sega can. 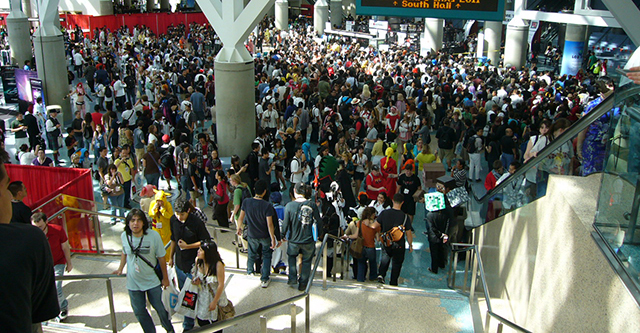 With Anime Expo 2014 kicking off this weekend, legions of fans are converging on Los Angeles. As diverse as convention-goers may be, there are a few personalities you’re almost guaranteed to come across. From the awesome to the awkward, the first-timers to the grizzled veterans, here are five encounters to expect over the course of the weekend. The first two rules of conventions are “Yes, there’s a line” and “No, this isn’t the back of it.” You and thousands of like-minded fans have all descended upon the same place at the same time, and you all want to do the same things. Is it any wonder you have to line up for anything worth doing? Luckily, the silver lining of this dark cloud is the line buddy. When you spend half an hour standing in one spot, you’re eventually going to end up talking with the people next to you. The shared misery of interminable wait times creates a bond between con-goers that mimics the ties between war veterans. By the time the screening/panel/entire freakin’ convention starts, you’ll have gone from exchanging pleasantries to asking the guy in front of you to be your first child’s godfather. All right, that may be an exaggeration, but you get my point. Long lines aren’t the only inevitable consequence of gathering scores of anime fans under a single roof. As you wander the crowded halls, you’ll start to find yourself staring at random strangers with a baffled look on your face. Your brain will swear up and down that you just passed you best friend from middle school, or that your high school crush just walked by in a group of RWBY cosplayers. What’s going on? As the weekend wears on, you eventually grow numb to the doppelganger phenomenon. No, that’s not your English professor selling used manga. No, that’s not your cousin in Doctor Who cosplay. No, that’s not… wait, that IS the tall guy from freshman orientation! What’s he doing here? Was he always an anime fan? More importantly, what was his name again? Random encounters with people you know can range from painfully awkward to mind-bendingly awesome depending on the individual. Mostly they average out to a half-hearted wave and a brief conversation about what you’ve both been up to since that one time you met. Just remember to look on the bright side: they probably don’t remember your name either. There’s a wealth of keychains, flyers, posters, lanyards, and more to be had at most anime conventions. Some are awesome and will fill you with happiness, while others are useless trinkets promoting some product or website that you’ve never heard of. At some point, it’s important to learn the difference, lest you become a leaning tower of freebies. Look at that smug guy, reclining on a bench while he scribbles nonsense in his fancy notebook. With his boring haircut and his geek-reference polo shirt, he’s clearly trying to fit in while still dressing to impress all the industry folks. What a useless, dumb… oh, wait, that’s me. I’m staring at my reflection in a window. Damn it all. Yes, I’ll be at this year’s Anime Expo and will spend most of my time taking illegible notes at industry panels. You’ll probably mistake me for that annoying guy from your day job, but I promise I’m not quite as bad as he is. Just be careful: you might end up in my next article.